"We hired Steve after talking to several firms and checking references. What impresses us is his sincerity, integrity, engineering background and attention to detail. 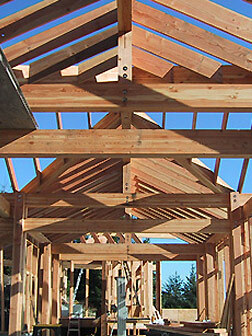 He is a hands-on contractor and his crews are every bit as detail-oriented as he. He and his site superintendent were adept at being able to interpret my intentions in order to understand the design concept and the level of quality we were looking for. They did an admirable job on our renovation/addition project. As an architect, I like to keep a short list of quality teams and I would not hesitate to use or recommend Steve." "Under the knowledgeable and confident leadership and guidance of Steve Mittendorf, the crew of MQC and subcontractors associated with our remodel delivered a solid finished project that was a true transformation of our West Seattle home. Steve's expert advice, ideas, and responsible work ethic flowed into an efficient timeline that was successful in keeping us as stress-free as possible during all stages of demolition and construction. Our ideas were honored and always enhanced by Steve's professional ability to focus a keen eye on our ultimate goal for the design, while remaining dedicated to the values of quality workmanship and respectful attention to detail. We would highly recommend his outstanding work to anyone considering a home improvement project."